A regional-level conference to create awareness of development activities was held at the Pattipalai Divisional Secretariat Auditorium in Batticaloa Saturday morning at 9:45, chaired by the Divisional Secretary, Mr. S. Amalanathan, with the participation of Manmunai South West Division’s Village officers, Poverty Alleviation Officers, Field Workers, and the Pattipalai Divisional Secretariat employees, sources said. 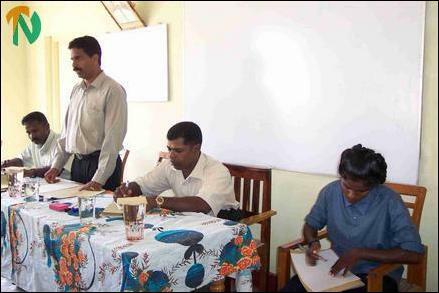 On behalf of the Liberation Tigers, the political head for Batticaloa-Ampara, Mr. R. Kousalyan,. Regional military commander Mr. Ram, Deputy political head Mr. Krishan, Women’s political wing head Ms. Premini, the political head for Mavady Munmari Koddam, Mr. Sutha, and the area’s administrative head, Mr. Tharan, participated at the conference. 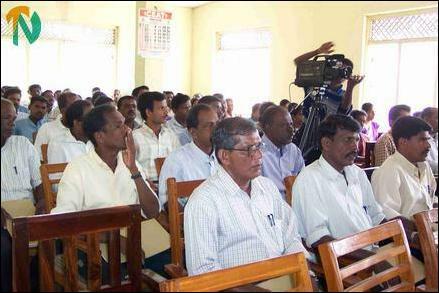 The additional government agent for Batticaloa, Mr. Punniyamoorthy, also participated at the conference, sources said.